My husband and I went to happy hour at the Sea House restaurant which is located right on the beach. 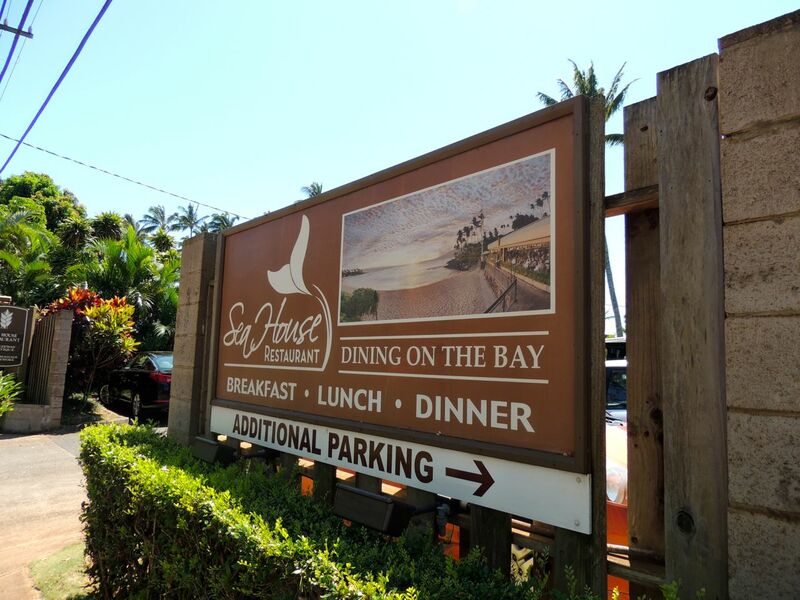 To drink, I ordered the Sea House Punch which was absolutely delicious. It tasted so tropical and light. 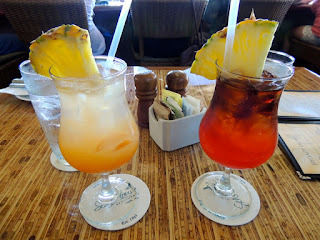 It included coconut rum, POG (a mixture of passion fruit, orange and guava juice), pineapple juice and mango puree. 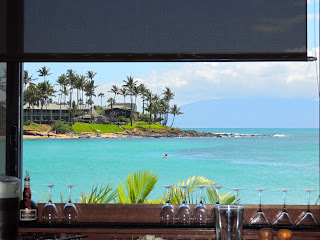 My husband had the Kona Breeze which he liked, but he liked my Sea House Punch better. His drink tasted stronger. It included white rum, guava and cranberry juice, dark rum and brandy float. For food, we ordered the Maui Beach Balls, which included rock shrimp, mahi mahi, corn, pepper jack cheese and scallions. They tasted like fish hush puppies. 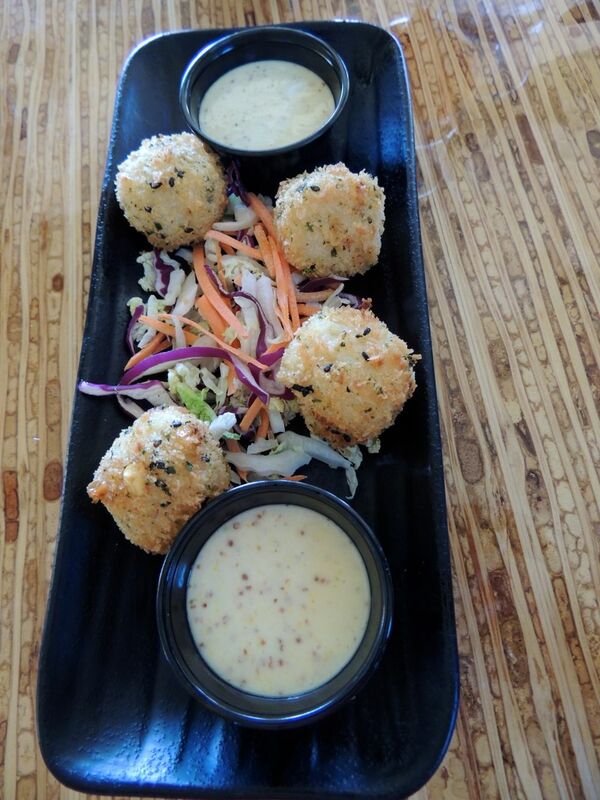 The dipping sauce was also good. It was mango mustard and wasabi vinaigrette. 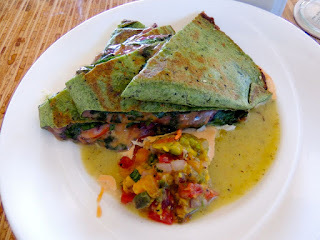 We also ordered the Molokai Sweet Potato Quesadilla. The tortilla was stuffed with shredded potato, sweet peppers, cilantro, mixed cheeses and caramelized Kula onions. It was served with an avocado salsa. It was good and stuffed full, a hearty portion. 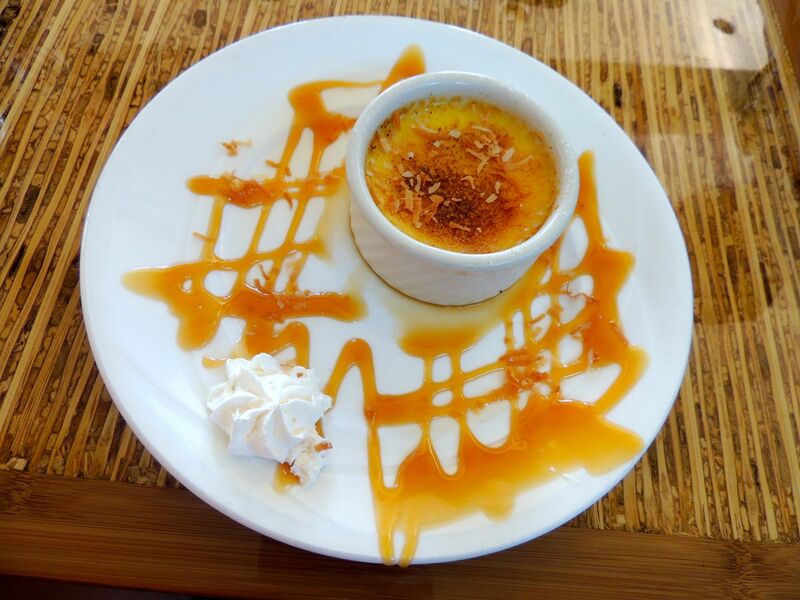 For dessert, we shared the Coconut Creme Brulee. It was really good. My husband loves creme brulee, and he was definitely a fan of this version. The caramel on the plate was delicious with the coconut flavor. We also ordered the Pineapple Tiramisu. 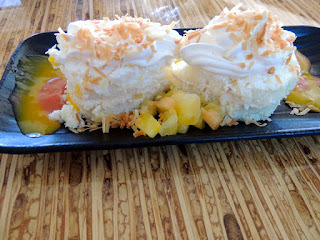 It included pineapple mascarpone, layer cake, guava and mango puree. It mainly just tasted like white cake, but it was very sweet. It was definitely better than the white cake at the luau we went to last night. I didn't taste much pineapple flavor though. 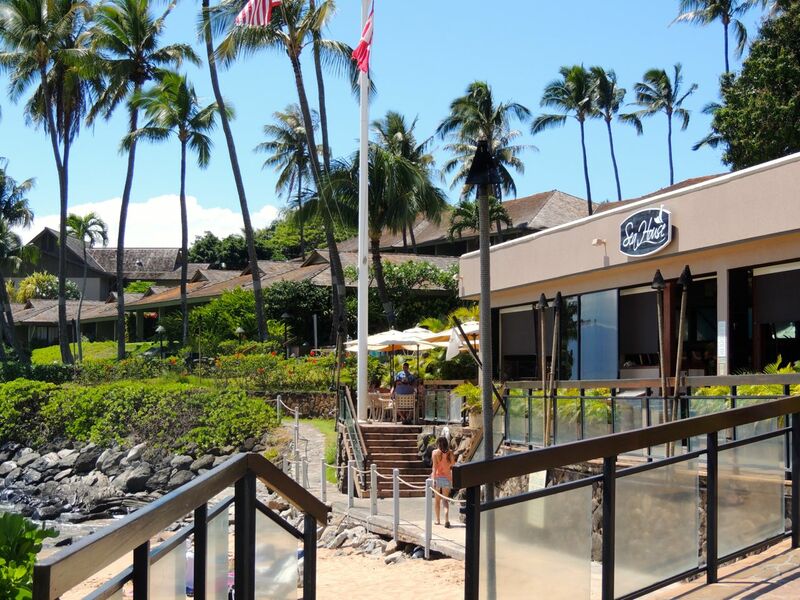 In short, the drinks were good, the food was great, and the location was excellent.